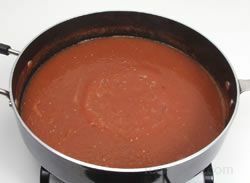 A salty brown Asian sauce used as a seasoning or condiment to enhance and harmonize the flavors of various foods. 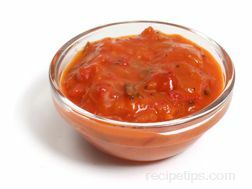 It is a sauce that is used to bring out the flavor in foods, such as meats, poultry, fish, and cheese. The traditional soy sauce, typically considered as an Asian condiment, is made from fermented soybeans, ground roasted wheat, and a starter mold known as koji to begin the fermentation. A brine of sea salt and water are added after the the original mixture has aged for 3 to 5 days. This combination of ingredients is then seasoned again and allowed to mature for approximately 6 months after which it is pasteurized and prepared for commercial use. In Japan, soy sauces are referred to as shoyu, or in Chinese, they are called pinyin jiàngyóu (Mandarin) and see yau (Cantonese). There are a number of different varieties made, of which there are basically two different categories, referred to as either the light or the dark sauces. Dark soy sauce is darker in color, thicker in consistency and sweeter or richer in flavor than the light soy sauce. Dark soy sauce, which typically contains molasses and other seasonings, is used most often in Japanese or Chinese cooking for stir fry marinades, meat glazes and to flavor stews. 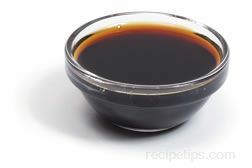 Chinese dark soy is a traditional dark soy sauce, which is very thick in texture and contains molasses as a main ingredient. 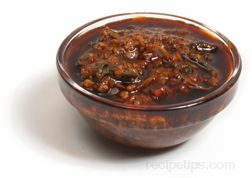 Another dark, thick textured sauce made with an Asian dark soy sauce, is Kecap Manis or Ketjap Manis, which contains palm sugar, star anis and garlic as flavorings. This sauce is a common condiment, marinade and flavoring for Indonesian food dishes. A version of soy sauce that may be referred to as "wheat free" is the Japanese Tamari, a strong flavored sauce processed either as a sauce made only from soybeans or as a sauce containing only a small amount of low quality wheat. Tamari is thick in consistency, stronger flavored than traditional Chinese sauces, and is generally used as a sauce for raw fish or a cooking sauce for dishes with longer cooking times, such as stews, soups and cooked meat dishes. 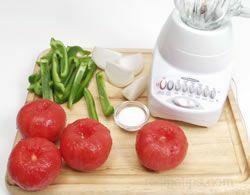 However, it can also be used as a marinade sauce, a salad dressing, or as a seasoning and dipping sauce. Flavored soy sauces are also available, such as mushroom soy sauce, made with dried mushrooms and considered to be a dark soy sauce. The mushroom sauce has an earthy flavor that goes well with meat stews and marinades. 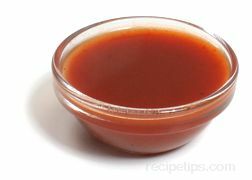 The light soy sauces are lighter in color, thinner in texture, saltier in flavor, and contain more of the sour overtones than other soy sauces. The Japanese word for this type of soy sauce is "shoyu", a sauce typically made from soybeans, roasted wheat, sea salt, water, and koji starter mold. 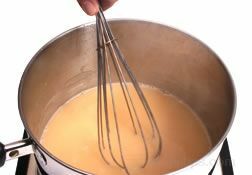 The ligher sauces, which will generally not alter the color of the foods being prepared, are traditionally used when cooking vegetables, clear soup, soup bases for noodles, and white fish. Since light soy sauces have a shorter shelf life than the darker sauces, they should be used shortly after opening. 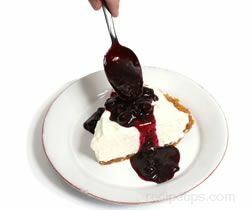 The alternative to a traditional fermented sauce is the hydrolyzed soy sauce, but it often lacks the full flavor of the natural or traditional sauces. Hydrolyzed soy is a synthetic sauce that has not been brewed in the same manner as a naturally brewed soy sauces. Soy sauces can be used in salad dressings, as well as an ingredient for many other sauces such as marinades, steak sauces, barbecue sauces, or as flavorings in soups, stews, and a variety of food dishes.